The undersigned companies believe that it is time for the world’s governments to address the practices and laws regulating government surveillance of individuals and access to their information. . . .We understand that governments have a duty to protect their citizens. But this summer’s revelations highlighted the urgent need to reform government surveillance practices worldwide. The balance in many countries has tipped too far in favor of the state and away from the rights of the individual — rights that are enshrined in our Constitution. This undermines the freedoms we all cherish. It’s time for a change. Apparently, the risks and costs associated with complying with endless government information requests has taken its toll on these corporations. The real question for me is where are the cellular phone companies on this issue? Where are the people on this issue? If you are not a fan of Schererville Crime Watch on Facebook, the Gazette highly recommends you check them out. A recent report by the Watch, led to an interesting discussion regarding the Schererville Animal Control facility. While on a traffic stop in the 5800 block of Phillips Road, a gray kitten jumped into my squad car and would not exit. I transported it to the shelter for safe keeping. The simple elegance of the report is touching to me. A police officer on routine patrol rescues a kitten. It gets better however. Like those who posted on the wall, I did not know that Schererville had a shelter facility. This led to the inevitable discussion of the many animals in need during the holiday season. Schererville Crime Watch quickly and appropriately pointed to the the needs of the animals by posting: “Please take us home for the holiday. We’ve got no where to go. If you are interested, please call Jan or Justin down at the Schererville Animal Shelter at 865-6992.” Great job Schererville PD and Schererville Crime Watch. Cats at the Schererville Animal Control Facility. Schererville animal shelter is seeking homes for dogs this holiday season. Just one day after asking for help from the public in identifying a Gary Homicide victim, the office of Lake County Coroner Merrilee Frey has issued a statement that the victim has been identified as Emmanuel Dominguez of Chicago. The coroner further stated that the cause of death was multiple stab wounds. This incident occurred on November 4, 2013 in the 2700 block of Maryland Street in Gary, Indiana. This appears to be the same Emmanuel Dominguez who was reported missing on Halloween in Chicago. 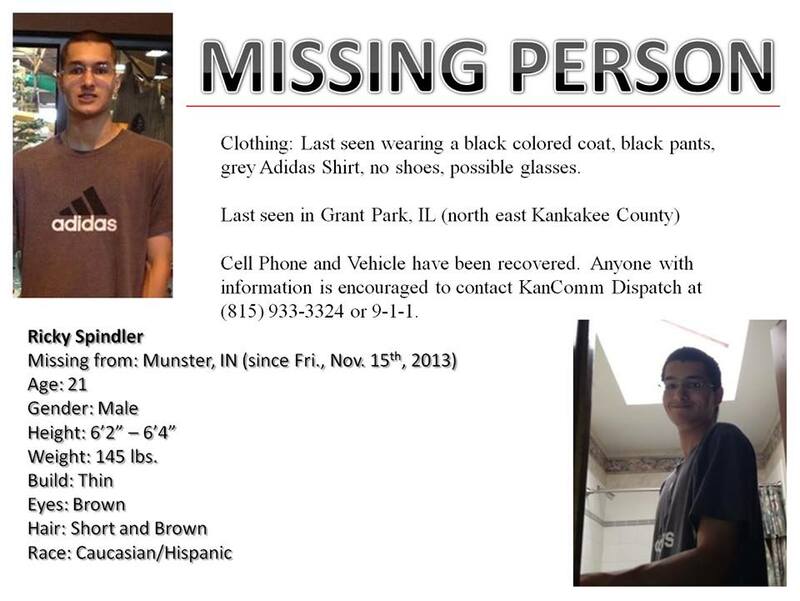 CBS Chicago reported at that time that “Family members have mounted missing person flyers around that warehouse district where he was last seen.” Dominguez’ car was discovered days after halloween according to published reports. He was last seen with his girlfriend who was questioned by police. The body of Emmanuel Dominguez of Summit, IL was identified by Lake County, IN Coroner Merrilee Frey today.